I was born in Linköping in 1987, but the following year my parents moved to Katrineholm, where I would live for my entire childhood. In autumn 1994, I started elementary school at Skogsborgsskolan where I would remain the following six years. At Skogsborg, I had my first contact with the world of computers as the school had purchased PCs to almost every classroom. I learned to work in the graphical user interface of the operating system of that time (Windows 3.11). In 1996 I also had my first own computer, using which I could develop my skills. Spending virtually all my spare time in front of my computer, I rapidly gained great knowledge in the fields of Microsoft Windows, Microsoft Office, the Internet, and programming. I launched the first version of my web site already in 1997. 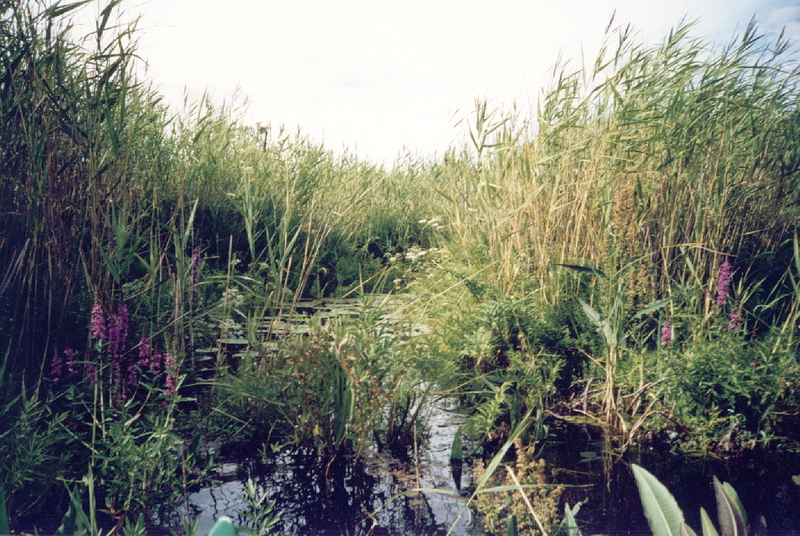 The main feature of the site at that time was a ‘lagoon’ on the opposite side of the lake at our summer cottage. From my canoe, I took photographs of it, which I later scanned and published. Today I have a practical view on computers, which are excellent extensions of human beings. Computers can be used to communicate, to plan, to control machines, to create, edit, and distribute texts, images, video, and other digital media, especially to distribute important information and knowledge, and for entertainment in the form of digital media playback and computer gaming. Computers extend the possibilities of one’s everyday life. Personally, I use my computer to communicate, to plan, to write, to search for information and knowledge, and to store, process, and consume digital media. I also use my computer as an experimental universe, in which I use programming to simulate and understand our world. In summary, my Windows 7 desktop computer is definitely my very best friend. Initially developed in 2001 using Delphi 4, the Easy Coder web editor was my first ‘major’ programming project. Although the first few versions were far from impressive – I was only learning to program – I did develop my skills rapidly. Eventually, I started writing my own GUI controls and examining the Win32 API. In 2002, Easy Coder was tested in Datormagazin, Sweden’s largest computer magazine for advanced users, with the heading “Potential for Great Achievements”. In retrospect, it would have been much better (for me) if the test had been performed only a couple of years later. Indeed, over the next few years major improvements were made to the software: a custom text editor control (supporting syntax highlighting), a built-in FTP client (based on WinINet), a CSS editor, and tag dialogs supporting not only insertion of HTML tags but also modification of existing ones, including a table editor. Personally, I used Easy Coder in my daily work for years, but today the project is abandoned. I have other, more relevant, projects now. In the autumn of 2003, I was somewhat more lucky as my contribution ‘Text Processing’ won third prize in Datormagazin’s annual programming contest, out of some 90 contestants. ‘Text Processing’ was a script-based application used to make alterations to a large set of text files simultaneously. I won a very nice HP PDA. To be honest, however, I have to admit that the competition wasn’t very hard; in fact, not even my contribution was particularly impressive. Even though there were some decent contributions, the vast majority of them were rather simple hobby projects, like my old Easy Coder. Unfortunately (again, for me), Datormagazin a few years later cancelled its annual programming contest. 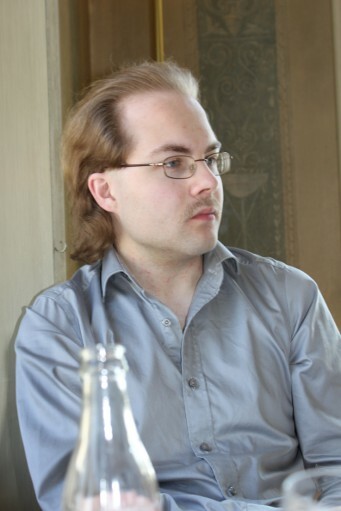 During those few years I grew even more as a programmer (indeed, I still grow today). During my time at Skogsborgsskolan, it felt like I didn’t fit in. My ‘main problem’ (learn Swedish and buy/download a copy of my book Ändlös längtan ) had bothered me even before elementary school, and it got worse in time. But even if one disregards my ‘main problem’, I was different. For instance, I remember one occasion, perhaps in my fourth year, when we were given the task to make a poster – in pairs. I was lucky enough to get a partner who was also interested in computers, but my luck was short-lived. I wanted to make some educational poster, such as one listing the hundred ‘most common’ filename extensions with descriptions of the corresponding file types, while my partner was more into gaming. Generally speaking, I was much more serious than other children of my age. During the last three years at Skogsborg, I was also bullied by a couple of my classmates. Even if there was never any physical abuse, they knew exactly how to make me really furious, and I sure got furious! I got incredibly angry with them. The teacher seemed not notice, or didn’t care. Today, I don’t think the bullying was a big deal; boys will be boys, and bullying probably comes natural. I survived the bulling, no hard feelings. On a much more severe note, my ‘main problem’ continued to get worse as time went on. In my last years at Skogsborg, I had come to consider my ‘problem’ as a law of nature. It was like a ‘curse’ that had been following me for as long as I could remember, and the same feelings of frustration and the same disappointments kept repeating themselves, over and over again. The last semester at Skogsborg, I spend the entire breaks standing right outside the entrance to the building, leaning my back against the brick wall. I remained in that posture until the next class would begin. In autumn 2000, I was to attend högstadiet at Tallåsskolan (later Järvenskolorna). I applied for the newly incepted science profile; out of some 50 applicants, only 22 would be admitted. I was admitted as one of those and so I spent the next three years of my life in that class. During my time at Skogsborg, it happened at a small number of times that I would spend time with friends outside of class, but it never happened during högstadiet, nor any time since then. As a matter of fact, I have barely had any friends to begin with. All my spare time I spend studying and working on my private projects (such as programming projects), all by myself. I disliked the company of children my age. In my view, one should be able to expect högstadie pupils to act maturely and responsibly. At least I did (as far as I succeeded in that endeavour). I detested all forms of flippant, disrespectful, and childish behaviour, and there sure was plenty of such in class. My classmates fooled around, made noises, ran back and forth, and did all kinds of strange things. They scribbled nonsense on paper, and sometimes on other things as well (i.e., property damage and vandalism). They joked about everything; nothing was sacred, and nothing was taken seriously. I detested children of my age and I wished that I (socially) belonged to the teachers, the grown-ups, instead. Science offers a unique understanding of the nature of the entire universe – including everything from the birth of the universe itself, its structure and modern content of stars, planets, and asteroids, to the development and chemistry of all the organisms of earth – from the very first microorganisms to the even more complicated human body. Science gives us, except for the intellectual pleasure of understanding itself, everyday applications improving the life of each human being and the whole of her society, as well as rational descriptions of the phenomena of nature, which may result in improved moral values. But philosophy and science couldn’t distract me from the big thing that was on my mind every day, namely, my ‘main problem’. That’s what I really remember from my time at Tallås. In 2003, I started the gymnasium at Duveholmsskolan, which was later renamed Duveholmsgymnasiet. I always found science and mathematics very easy, as well as language. I often assisted my classmates with homework exercises, and at a number of occasions I participated at events such as information meetings/workshops (in lack of a better translation of the Swedish term ‘öppet hus’), where I developed simple scientific demonstration software applications and gave brief talks. The last year at Duveholm, I also was given the opportunity to act as a Swedish teacher for a few hours and classes in order to talk about how one could use Microsoft Word efficiently to write professional-looking documents. My motivation for this was the most honourable possible: I simply wanted to spread knowledge about things that felt very important to me, and which I knew most people didn’t know about. Eventually I graduated with the highest possible grade in all classes except for physical education [för att undvika fler missförstånd: ”physical education” motsvarar ”idrott och hälsa”, inte ”fysik”], where I had to settle for the next highest grade. See my grades from the gymnasium. During my last year at Duveholm, I also developed (during a week) a numerical mathematical software, Algosim, which I was very happy with. I would use Algosim in my daily work for years, before its successor, AlgoSim II, reached the beta stage. I have almost exclusively bad memories from my time at the gymnasium. Needless to say, my ‘main problem’ got horribly bad at this time. The last year I was struck by severe clinical depression; I really felt I had no future. Life’s a game, and I was about to lose. Game over. All I felt was despair and fear. I cried out for help, but no one cared, or understood. So I started to cry even louder. Eventually someone reacted. I was forbidden to enter the school’s premises, reported to the police, and locked up at a hospital. I was frozen out by both my ‘classmates’ and the teachers. I particularly remember one of the ‘classmates’, whose name I will not mention (for my own good), to whom I turned hoping for some support and someone to talk to. I had previously had great confidence in her; I thought of her as highly smart, fair, and wise. But she ignored me too. Then I started receiving malicious mail. Everyone seemed to abhor me, even though I had never had any bad intentions against anyone. On the contrary, I had always wished for the very best for everyone. It was a terrible experience to feel that I had never done anything wrong – I wanted the best for everyone! – and still to be rejected as an abominable monster. And no one would listen to me, or believe me. I was all alone, and had had a troublesome life, but despite of this, all of the school’s resources went to supporting the rest of the class; at least that is how it looked to me. No one asked me what I felt or what I wanted. Since these events, I ‘know’ that all humans, when it really matters, are primitive egoists. That’s not a fun thing to ‘know’. I ‘celebrated’ my eighteenth birthday locked up at the hospital. Naturally, there wasn’t much of a ‘celebration’, although Claudia, my favourite nurse, did mention my turning eighteen at the breakfast. Not that this mattered, really: I had never been particularly keen on parties and celebrations. In fact, one of the upsides of not being welcome at the school’s premises the last semester was that it gave me a natural reason not to participate in the graduation festivities. Indeed, then (as well as today) I was very uncomfortable among hordes of screaming and shouting youths. My life as an adult has been taxing, because of my ‘main problem’, but also because I often feel misplaced in the Swedish society. Just to mention a few things: I have stopped watching the news on TV and reading newspapers in order to protect myself from unpleasant stories (the nature of which you are unlikely to understand if you haven’t read Ändlös längtan ). I also avoid being in crowded places, especially if the crowd consists of (or even contains) young people. My main problem aside, I am constantly angered by morally detestable TV shows, inflexible bureaucracy, and intolerance (not to mention animal rights issues). In the autumn of 2006, I was registered on the physics programme at Linköping University (LiU), where I would spend the upcoming five years studying mathematics and physics. The first year I succeeded in obtaining the highest grade in every course, and the following years were decent too. See a list of all courses I have taken. In 2008, I started working 50 % as a teacher at the Department of Mathematics (MAI) at the university. This worked out very well, and I have been tremendously happy in my role as a university-level mathematics teacher. See a list of courses I have been teaching. Half a year later than expected, in the winter of 2011/2012, I finally graduated and received my master degree. I have identified three major reasons for the delay. First, suboptimal mental health has had an effect on my performance. Indeed, the last years I had issues with motivation and the ability to stay focused. Second, although I loved teaching, it did take some time and effort. Third, commuting between Katrineholm and Linköping took a few hours (and energy) away from every day I spent at campus. Somewhere in the midst of my studies at LiU, I developed the successor to Algosim – AlgoSim II. This new numerical mathematical software is similar to applications like Matlab, Mathematica, etc. in spirit, but with additional focus on the beauty of mathematics. Personally, I think AlgoSim II is amazing. In fact, I love the software! Unfortunately, I never quite got the time to finish it, so it remains a beta even to this date. Nevertheless, today I use the software in my every-day work (so no one knows her bugs and design flaws better than I do). Closely related to AlgoSim II is my text editor RTE (the editor control of which is in fact the console control of AlgoSim II). In my final year as an undergraduate student, I wrote an early draft of a physics textbook, Physics Done Right – an Attempt . In summer 2011, I moved to Linköping. As I graduated the following winter, and wasn’t allowed to continue working as a teacher, I had to find something else to do. Fortunately, a number of PhD student positions were made available at MAI at roughly the same time. I applied and got one of those. Since spring 2012, consequently, I am a graduate student (doktorand) at MAI. As a graduate student, I am only allowed to do 20 % teaching, which initially felt very little and a bit boring. Nevertheless, I don’t experience any shortage of work or things to do. I suppose I should mention that, if there had been open positions involving only teaching at that time, I had probably applied for one of those instead, in part because I love teaching, and in part because I am somewhat tired of the rather special burden one has to bear as a student (even as a graduate student). In addition, over the last years I have experienced motivational issues and problems staying focused, and generally ‘fragile’ mental health. Nonetheless, I am fully committed to doing a job of the very highest quality possible in my new position. Indeed, after all these years I am pretty good at performing in spite of mental health issues. Mainly it is about ‘just doing it’ (you won’t die if you force yourself, and even if you would die, it’s not such a big deal) and choosing which battles to engage in: if you are pissed off about seven things, perhaps you can choose one of them to make a big thing out of, and simply leave the rest alone. I also use humour as a major ‘coping strategy’ to survive in my every-day life (and a daily dose of escitalopram oxalate, corresponding to 30 mg of escitalopram). I wrote my book Ändlös längtan in 2010. The book is a very extensive treatment of my ‘main problem’, my childhood, and the response from the society. It is important for me to get it published. I need to talk about my ‘main problem’, and I want to show that there are people like me even if the society doesn’t want to recognise it. I have observed a huge lack of interest in the book. I have contacted the media (SVT, newspapers, …) but get no replies back. My plan is to pay for the publication myself. In summer 2012, I opened a small encyclopaedia/exhibition of curves and surfaces in ℝ2 and ℝ3, one of my spare-time hobbies. In spring 2014, I was awarded the annual teacher’s award by the engineering students at Linköping University. In autumn 2014, I didn’t know what to do in the future. In December 2014, I finally resigned from MAI. In January 2015, I started medical school (läkarprogrammet) with not much enthusiasm. The first time after this change wasn’t easy. An older version of this page (2006).